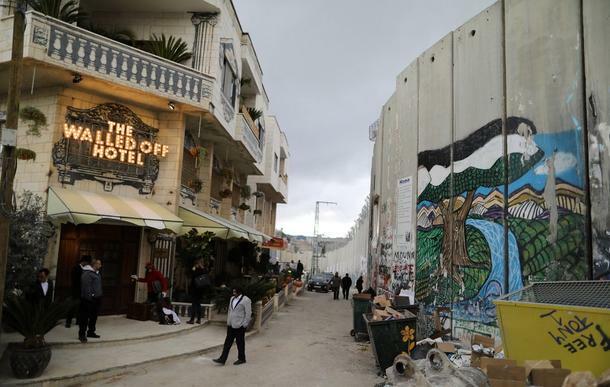 Graffiti artist Banksy has opened a hotel in the West Bank. The Walled Off Hotel features artworks exploring the Israel-Palestine conflict. Graffiti artist Banksy has opened a hotel in the West Bank. The Walled Off Hotel features artworks exploring the Israel-Palestine conflict.